Love the Sharrows on Main Street? Well, come and tell City transportation planners all about it! And provide feedback about future bicycle planning in Newark! 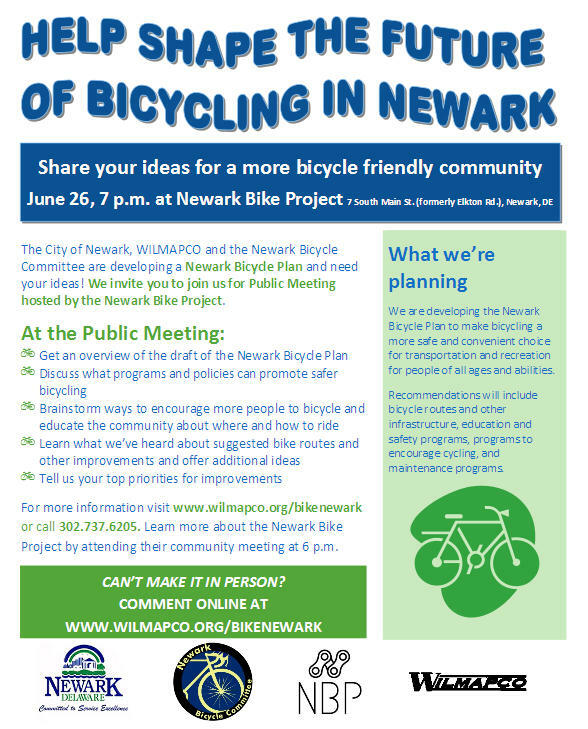 This upcoming Community Meeting (Wednesday, June 26th at 6:30pm) will have a special presentation from Heather Dunigan of WILMAPCO about the status of bicycle planning in Delaware. You will also have the opportunity to share your thoughts about where the City should be placing its efforts to create a more bike-friendly community!